Always one to champion the underdog, I admit that’s why I purchased this bottle of Aligote in the first place. Around since the 17th century in France, today it comprises only 6% of total plantings in its home of Burgundy where it is largely overshadowed by the prolific and popular Chardonnay and Pinot Noir. Bourgogne Aligote has been an Aligote-specific appellation since 1937 and only since 1998 has Bouzeron (in the Northern Cote Chalonnaise) been afforded its own appellation solely for Aligote wines. 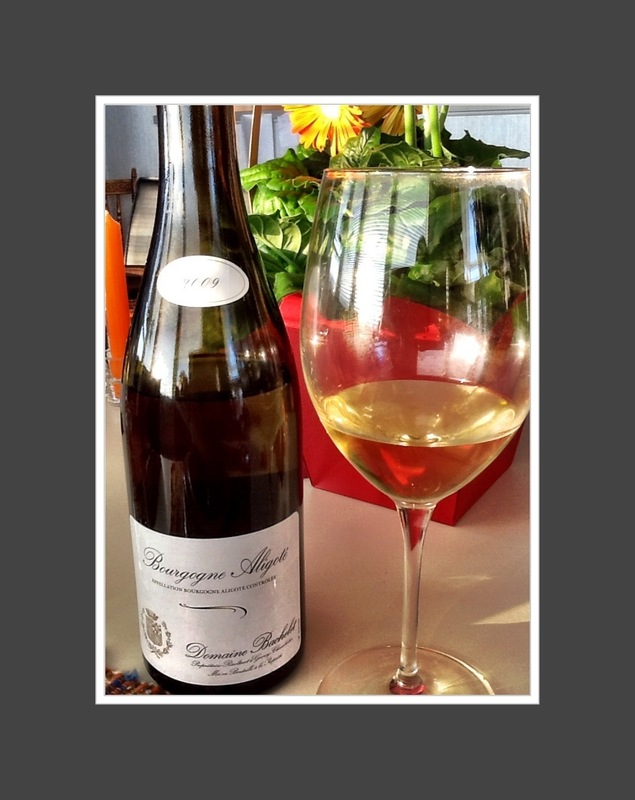 This is an AC level wine – meaning it’s the lowest of the four levels available in Burgundy. This wine is clear and bright, pale lemon with legs. On the nose it is clean with a youthful minerality showing aromas of pear, white nectarine, lime, stone fruit, white grapes and green apple. The palate is dry with medium minus alcohol, medium acidity, medium minus body and medium intensity. The flavour characteristics include bergamot lime, Granny Smith, mineral and wet stone, pear and a medium finish. WSET ‘good’ wine with no bitterness on the finish and nice fruit characteristics. A longer finish, more taste intensity, complexity and higher acidity would have given it a higher rating. This entry was posted in Aligote, France, WHITE. Bookmark the permalink.